Over 30 million Americans are walking around with Chronic Obstructive Pulmonary Disease (COPD) and don’t even know they have it. That’s why it’s so important to review your risk factors during COPD Awareness Month in November. 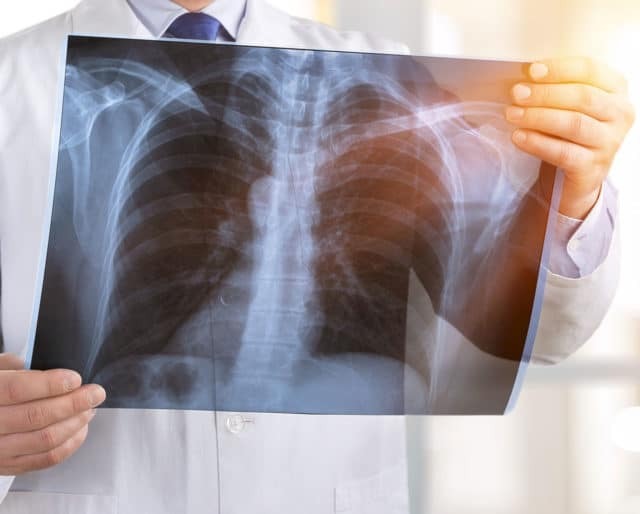 COPD is actually an umbrella term encompassing several progressive lung diseases including emphysema, chronic bronchitis, and irreversible asthma. During COPD Awareness Month, you can check out community resources, attend health fairs, participate in online forums, and even show your support by wearing orange. ​CDC reported COPD evidence throughout U.S.
​In one of the largest phone surveys ever conducted in the U.S., the Centers for Disease Control and Prevention quantified the prevalence of COPD in all 50 states. This included quitting smoking — and being aware of clean air — as a way to manage COPD symptoms and to bring back pulmonary function. ​​In his landmark book "The Natural History of Chronic Bronchitis and Emphysema," Dr. Charles Fletcher connected smoking to emphysema. ​Researchers at the University of Colorado were first to use oxygen therapy in clinical trials. ​The Ciba Guest Symposium, a group of medical professionals studying COPD, helped to sort out and define its main components. Search out a chat to discuss how to better manage COPD. The COPD Foundation keeps tabs on all the events during the month for those who want community resources and more information. Find out about COPD risk factors for you or someone you love. If you're wheezing, feel tightness in your chest, or tire out faster during your weekly exercise — commit to seeing a doctor. Even if you have COPD, you can still lead a productive life full of exercise and love. With a few tests, your doctor can let you know for sure. Overcome your anxiety and be proactive. Orange is the official color for COPD Awareness Month. Something as simple as sporting an orange ribbon on your jacket lets the world know that you support the fight against COPD. Since most people are familiar with pink or purple in connection with breast cancer awareness, orange is sure to generate questions from people who are unfamiliar with COPD. Use that as your teaching moment. ​COPD is the fourth leading cause of death in the U.S. — following closely behind heart disease, cancer and strokes. ​COPD is a big money waster, costing the U.S. about $50 billion each year in health-related economic losses. ​According to a CDC study, COPD kills more women than men each year. ​Each day, 4,000 teens start smoking for the very first time. ​Someone with COPD dies every four minutes in the U.S. Smoking is a major villain. Note that just because you smoke, it doesn't follow that you will get the disease even though the vast majority of COPD sufferers have either smoked in the past or smoke currently. If you have a long-term exposure to workplace pollutants like toxic chemicals, dust, or fumes — you may also be at risk for COPD. If you don't smoke or have any environmental exposure to pollutants, you can still get COPD if you are genetically predisposed to it. Because COPD is a combination of several kinds of chronic respiratory illnesses, there's no one-size-fits-all approach to diagnosing and treating the disease. That means that the medications for each condition will be different. A daily cough that may or may not produce that yucky stuff called mucus can point to bronchitis. Sometimes enlarged lungs are the result of emphysema which requires a totally different cocktail of medications. With the right treatment, it is possible to decrease the size and stretching of the lungs. Secondhand smoke is almost as devastating as direct smoking with regard to COPD. Children have been diagnosed with COPD just from residing in the same house with a smoker. The latest unhealthy fad to hit young people is vaping with electronic cigarettes or e-cigs. Teens think the e-cigs are cool because they come in bright colors and mimic the feeling that comes from smoking tobacco. Unbeknownst to them, vaping can also lead to nicotine addiction and eventually, COPD.